This homemade costume for couples entered our 2017 Halloween Costume Contest. 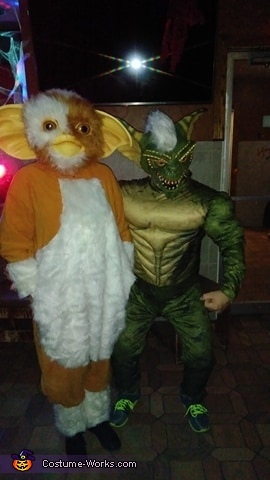 I love Gizmo so my fiance and I dressed as gremlins. We bought the masks and used pjs and fur for Gizmo. The body of Stripe is a deconstructed lizard man costume.